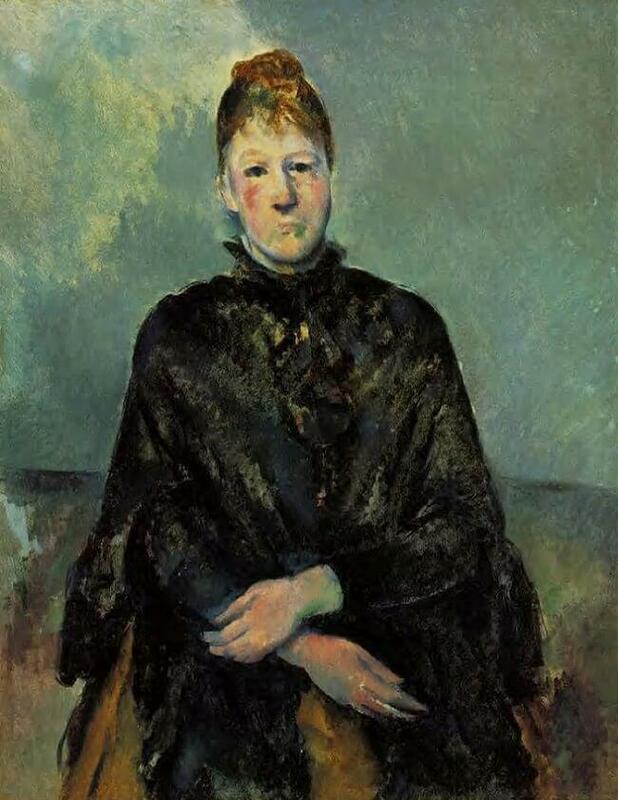 Cézanne's portraits of Hortense span a period of 20 years, and she looks different from one painting to the next. Although she is always seated, she can variously evoke a melancholy Madonna, a severe school principal or an androgynous boy with no chest. 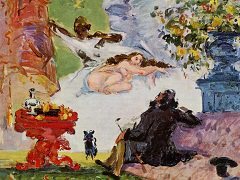 Hortense met Cézanne in Paris early in 1869. 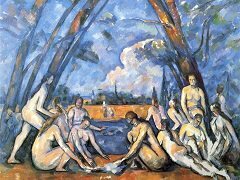 She was a 19-year-old bookbinder and artist's model from a working-class family. 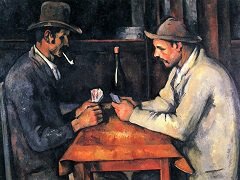 He was 11 years older and lived on a meager allowance from his banker-father. By most accounts, he was gruff, withdrawn and suspicious. He harbored an aversion to being touched. 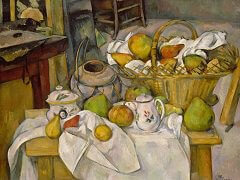 Cézanne kept his relationship with Hortense hidden from his family. He claimed that his father, who wanted him to be a lawyer and pushed him through law school, would cut off his income if he knew. The charade continued for years, even after Hortense gave birth to Paul Jr. in 1872. 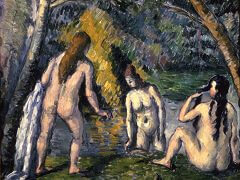 Cézanne would remove himself for months at a stretch to his parents' house in his native Aix-en-Provence. Hortense and the boy would be left in Paris, or would come to stay in Aix too, but discreetly, in a different house. He finally married her after they had been together for 17 years. 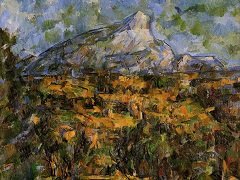 In general, Cézanne favored female models who were solid and stocky, as if their physical heft enabled him to concentrate on form rather than flesh. This is especially true in his drawings. 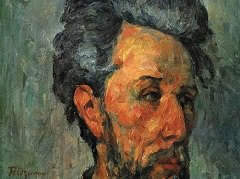 He liked to sketch his wife's head as a weighty geometric orb topped by a little bun of hair. 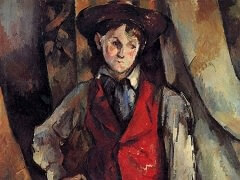 "I paint a head like a door," Cézanne once said, without irony. His friends bestowed a callous nickname on his wife: La Boule, which is French for "the ball."